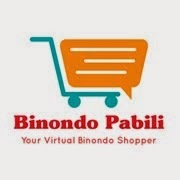 The Binondo Mommy: Welcoming Binondo Mommy! I would like to welcome myself, The Binondo Mommy, to this blogging world. At long last, I have finally put this goal, which is to create my own personal blog, into reality. I'm so excited about it. I haven't been able to start this due to my hectic schedule being a working mom. I have decided to start it on this day because it's the 6th monthsary of my baby. Baby A is growing fast and I want to document every milestone and memories I will be having as a new mom. I am preparing for when the time comes that my baby would ask me about the past, I can easily recall and let her read my life's story. At the same time, I also want to share some of my experiences to my family, friends and future friends with the hope of helping them in one way or another. And most of all, I want to improve my communication skills and be more expressive, to be able to start a conversation with people, and to be more in tune with what is happening in my surroundings. And before I end my debut post, let me explain why I chose The Binondo Mommy as my blog name. Most obvious reason is that I am an inhabitant of Binondo. And when you hear of Binondo, first thing that comes to your mind is that people there have chinky eyes. And when you know of someone chinky eyed, your first impression is that they are thrifty. With this, I wish The Binondo Mommy readers to have a pleasant journey with their life. May God shower this blog with many blessings, surprises and success. Here's a picture of me taken last year's Chinese New Year beside Binondo Church. Jan. 23, 2012.
hello, welcome to the blog world :) you'll enjoy it too! looking forward to more posts and will visit you then! Hi Mommy Sally! It's my first time on your blog. As far as I can remember, you are one of my first few likers on my FB Page and when I checked your profile for your link (thought you're a mom blogger too at that time) I saw none.